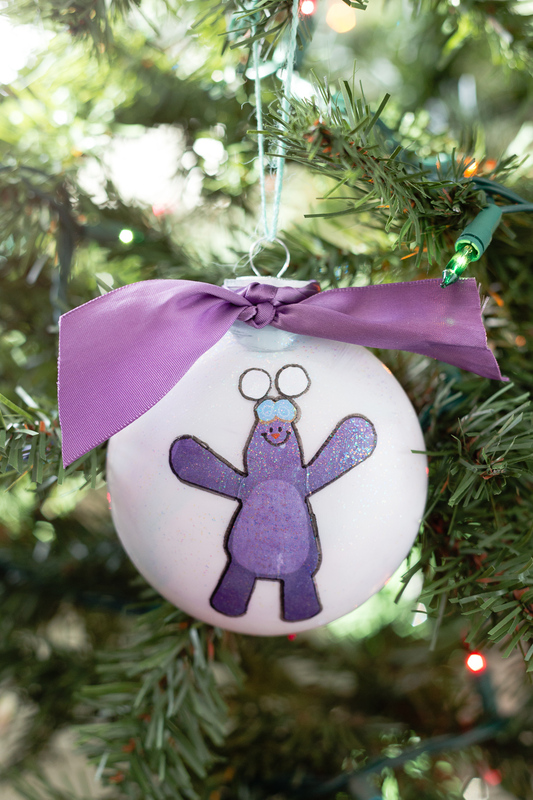 This Mim Mim Ornament is perfect for any Kate and Mim Mim fan! 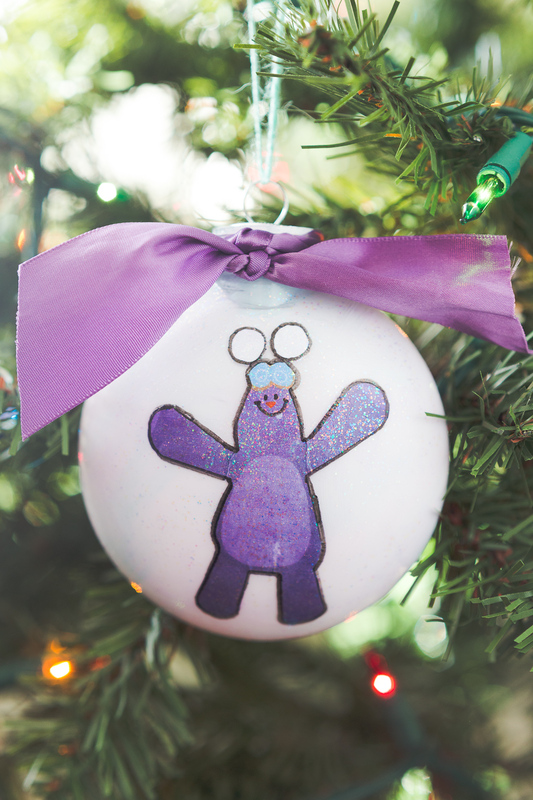 Tied with a purple bow and some sparkle this is an ornament your kids will really enjoy making! My kids have recently been enjoying the Kate and Mim Mim show and are loving that I am one of their ambassadors this year 🙂 Christmas is just around the corner and I wanted to share some really fun products that would make gift christmas gifts for the little ones in your life. Before we get to the products I wanted to share a fun and simple Kate and Mim Mim Christmas ornament tutorial that the kids can even help make. We love to collect ornaments and look through them year after year and this will be a fun one to pull out! 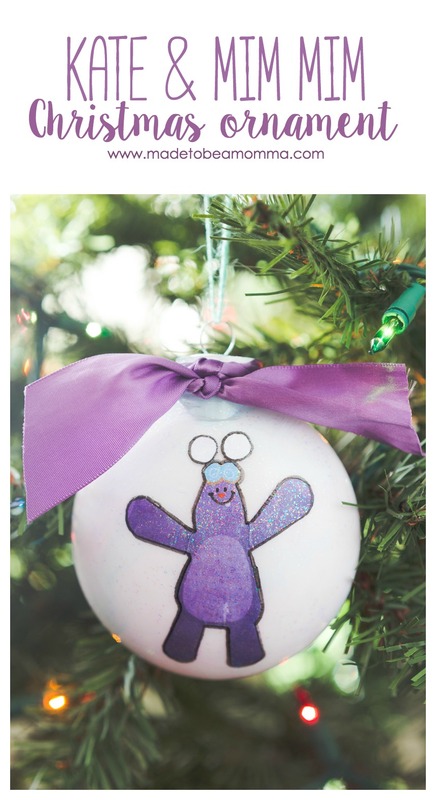 To make this ornament I actually went to the official Kate and Mim Mim Website. 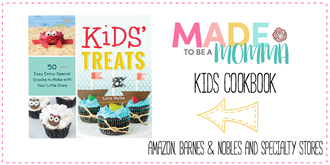 They have a section for parents to look through with some really fun activities for the kids. 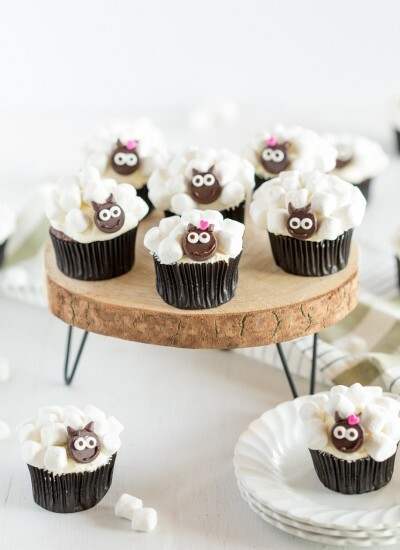 They can make their own Mim Mim with a toilet paper roll and they even have some fun coloring pages. I used the Mim Mim cutout to make this ornament. When printing, I scaled the image down to about 30 % so that it was small enough to fit on my ornament. I then cut the Mim Mim shape out. My son and I applied a small layer on Mod Podge to the surface of the ornament and placed our paper pieces down. We then painted a thin layer of Sparkle Mod Podge on top of it. We allowed it to dry and went back over the edges of Mim Mim with a permanent marker to make the image pop more. We tied a matching purple ribbon to the top of the ornament and we were all finished! 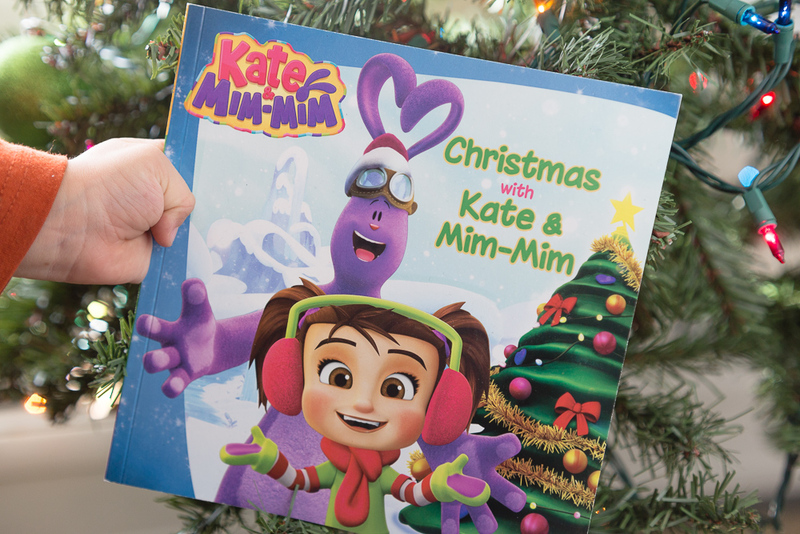 Make sure you pick up this fun Christmas with Kate & Mim-Mim christmas book! 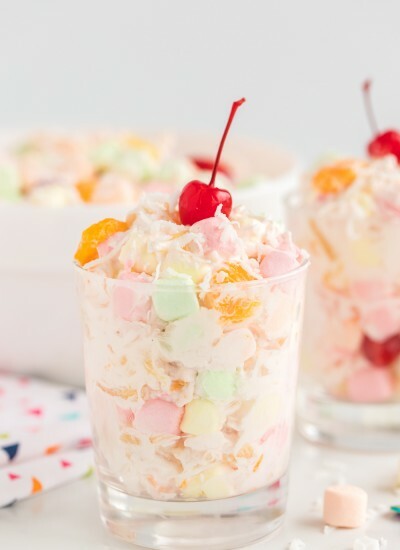 And finally, don’t forget the new Magic Twirl Mim-Mim. 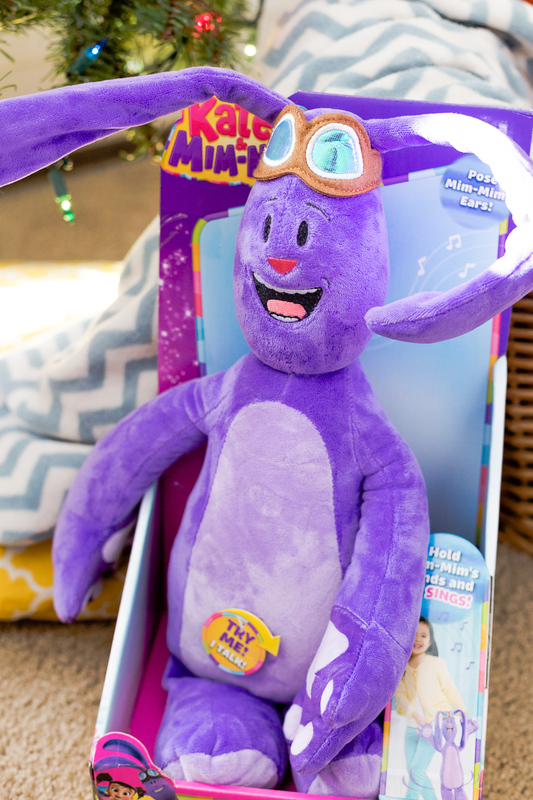 Just like Kate, your child can grab Mim-Mim’s hands and spin around to hear him chant the way to Mimiloo! Make sure you check out the Kate & Mim-Mim app too!! 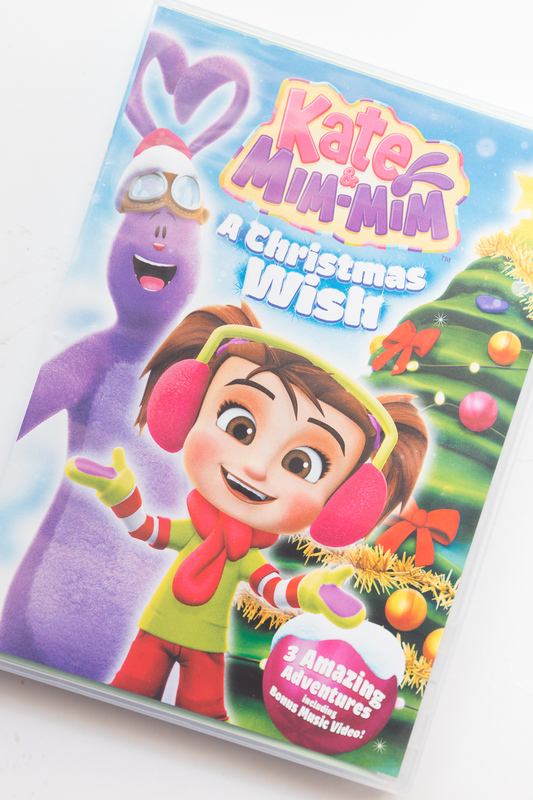 The app, “Kate & Mim-Mim: Dress Up Fun,” is a FREE, interactive photo and sticker app that encourages little ones to use their imagination as they dress up their favorite characters from the series and decorate their own photos with 100 different Kate & Mim-Mim stickers to choose from! 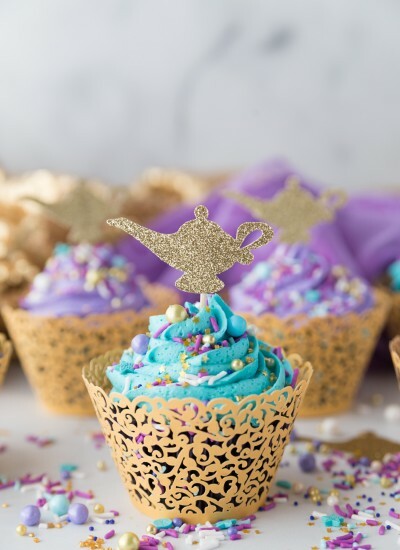 With thousands of possible combinations of characters, backgrounds, costumes, and accessories, kids can “twirl away” for hours of creative fun!